Adventures of Sound Tech Guy: Books by Gordon Korman from my youth. Back in my youth about the time I was in grade 7 or 8, I remember reading a series of books about MacDonald Hall and today I finally remembered the author's name, Gordon Korman. So, I did a little web search to find his web site. 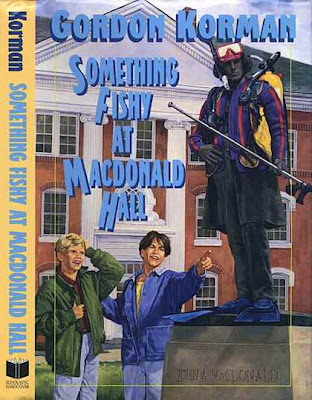 Here is the cover of the first book I read of the MacDonald Hall series. Now that I have remembered all of this I am going to buy some of these books and see if my daughters would like to read them.